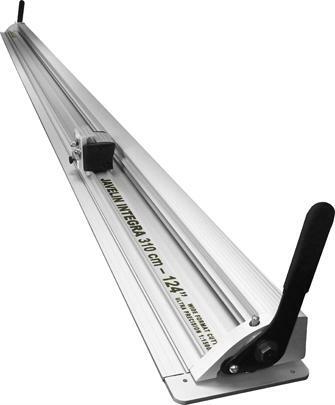 The industry’s most precise wide-format cutter, engineered for speed and convenience. Accurate to within .008” over the entire length of the cut, up to 144”. The Evolution-E2 cutter can be affixed to any table or on the optional Evolution Bench to create the ultimate precision cutting table. 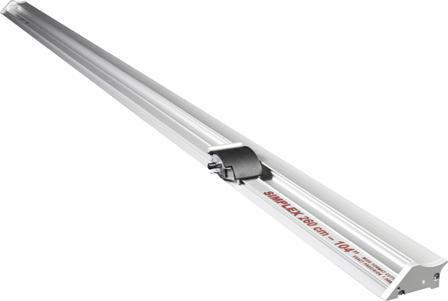 The Javelin Series 2 makes it ideal for cutting banner materials, pop-ups and other display materials that require precise and accurate cutting to within .008" over the full length of the cut. This is a portable cutter but has the option of turning into a complete cutting system by adding on the Big Bench Xtra or Surface Mount Lift & Hold system. The Javelin Integra is ideal for shops with low to medium output production. Accurate to within .008” over the full length of the cut, the Javelin Integra is simply fastened to an existing flat bench surface with screws. 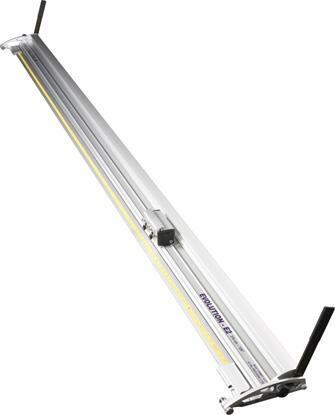 The unit can easily be lifted off the base and used as a portable cutter bar. An all purpose cutter accurate to within .03” over the length of the cutter. 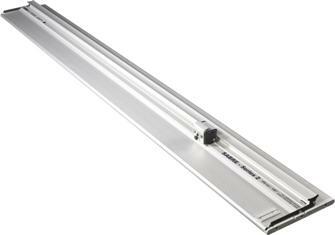 Relies on an extruded anodized aluminum base that allows the cutter to be used on any table or with an optional Stand or Stand Package system. A lightweight, portable straight edge mounted cutter accurate to within .03” over the length of the cutter. For use on a floor or a bench, the Simplex is an economical alternative to the Javelin Series 2 and Sabre Series 2 cutters.